Just heard a good segment on NPR‘s All Things Considered, which ties in well to the blog post I wrote last week. There was also a segment on the BBC interviewing Joshua Cyr about his spam stock tracker, actually demonstrating how much money you would lose if you followed these tips. Check out Cyr’s blog. He has lots of interesting posts (and comments) on this subject. I didn’t realize that there now seem to be professional penny stock “promoters” who will promote your stock, and only charge you based on the results. One comment I saw asked, “If spam predictably boosts prices fo a day, why don’t people just short the stock and take advantage of it?” My response: most brokers will not let people short stocks that are not traded on an exchange, or have a price below $3-$5. This is one way in which short trading restrictions hurt the overall market. 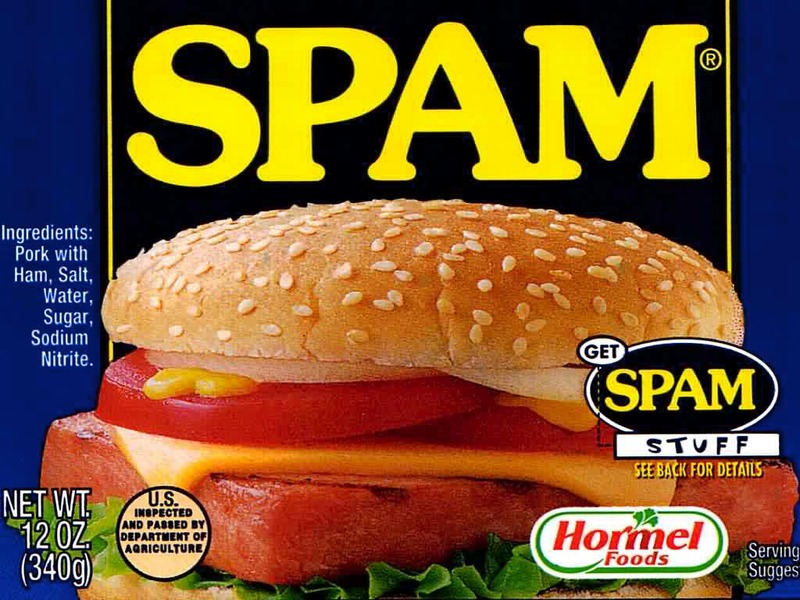 If it were easy to short these stocks, spammers would be able to make a lot less profit from these techniques, and they would decline to a much more manageable level without any enforcement by authorities: the market would police itself, with traders using the spam as a tip to sell instead of buy, keeping the stock price more in line with what it would have been without the spam blitz. Last week, Russian Natural Resources Minister Yuri Trutnev signed an order to cancel part of Shell’s Sakhalin-2 license on environmental grounds. Russia is also pressuring Exxon about cost overruns in a related project. A triumph for environmentalists over Big Oil? Hardly. Most analysts agree that this is an attempt by the Russian government to renegotiate an oil and gas deal struck when prices were low. Thinking back on what Russia did to Yukos, and Chavez forcing foreign oil firms to renegotiate contracts in Venezuela, the trend is clear: Countries rich in fossil fuels are increasingly re-writing the rules to their liking, with little regard to the desires of foreign capital. Given that 90% of the world’s oil and gas is controlled by state owned firms, private companies have little bargaining power, yet desperately need access to new reserves. Big Oil needs Russia more than Russia needs big oil: they’re going to have to settle for a much smaller take than they negotiated 10 years ago. As oil prices rise in response to the peaking of world oil output, realpolitik will continue to trump contracts. Western, publicly held oil firms will be the losers, as will their investors. How can we invest to protect ourselves from rising energy prices, if Big Oil is at the mercy of every oil-rich dictator around the world? I see two choices: fossil fuel reserves in western countries: coal mining companies and tar sands, or renewable energy sources. Tar sands and coal both have the problem of causing high greenhouse gas emissions. The process of extracting oil from tar sands releases 80kg of greenhouse gasses per barrel of oil extracted (and that is before the oil is used.) The extraction of tar sands has caused Canada’s greenhouse gas emissions to increase 24% since 1990, despite the fact that they are obligated under the Kyoto protocol to reduce emissions by 6%. Coal is also carbon intense. So while both coal and tar sands are relatively safe from political risk due to opportunistic regimes, both are likely to become relatively less economic in the face of possible restrictions on greenhouse gas emissions. Oil Shale is a boondoggle, and requires even more energy to extract than tar sands. This brings us back to investing in renewable energy and energy efficiency companies, both of which will benefit from rising energy prices and restrictions on greenhouse gas emissions. The problem here is that many of them are start-ups with little or no revenues, let alone earnings. Right now, I like energy efficiency best, since many renewable technologies have been the subject of a feeding frenzy over the last year. Although things have calmed down over the last couple months, energy efficiency is still more economic than most renewables, and subject to a lot less hype. This is a little off topic, but I was really affected by this op-ed piece from the New York Times. The E-Coli that has put us all off spinach for the last couple weeks apparently comes from cow manure of grain-fed cows. The solution, Nina Planck effectively argues, lies in the hands of stockyards, not spinach growers, and the blame and remedies should be their responsibility. If cattle are fedon grass for one week, this dangerous form of e-coli dies back 1000 fold. This would make their meat much safer, and longer periods on grass, or perhaps alternating cycles on grass and fattening grain might be enough to make us safer safer eating our leafy greens. It also might save the Salinas Valley growers, who are getting a bad reputation because of their cattle yard neighbors’ inability to control their sewage. The fact that spinach farmers pay the price for slightly cheaper beef, while we (through the FDA) pay subsidies of holding ponds that aren’t doing the trick (we should be building anaerobic digesters anyway) is what really bothers me. I just got a comment from “goldguru” at the Gold Stock Bull Blog. My first thought was that he was pushing a particular penny stock as part of a “Pump and Dump” scheme… Reading his post, that seems not to be the case, but caution is warranted. He says: As always, you should do your own due diligence, especially with bulletin board stocks that carry a higher risk profile. That’s good advice. While he says he does not own any Nova, there are many others out there pushing stock they do own, and caution is always warranted. 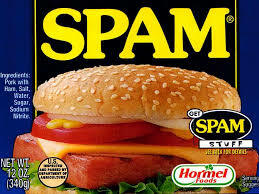 It was recently shown that spammers are actually able to move the price of the penny stocks they push when they send out email about how this or that penny stock is about to “explode.” The strategy is generally to load up on some ignored penny stock, send out a bunch of spams, and then sell as all the suckers buy. This leaves the spammers with a tidy profit, and the suckers with stock that is more likely to implode. Check out this chart of Petrosun Drilling. On Aug 18 I received 3 spams from people pushing this stock, saying it was about to “explode” that same day. If I had bought on that tip, I probably would have gotten in around $1.70. The stock is currently trading at $.91, and never got that high in the meantime. I think I also got a spam around Aug 30, where you see that secondary little peak, but I admit I wasn’t paying close attention. This is why I seldom recommend stocks in my blog, and when I do it’s because I like the company, but currently think it’s overpriced (e.g. Wal-Mart.) What I’m saying is “This one’s worth watching, but don’t buy it at current prices.” I also try to stick to stocks with high liquidity, so whatever I say won’t have much of an effect on the stock price. If I find a stock I like in my research, I buy it for my clients and myself. The goal of this blog is to give you the tools to invest profitably for yourselves. To do that well, you need to do your own research (if you’re going to use any active investing approach.) Passive indexers can get slightly-below-average returns for very little effort, and, as unappealing as “slightly below average” sounds, it’s a lot better than the typical retail investor does. For those of you who do not have the time or inclination to invest for yourselves, I hope to give you some insight into my methods and character, in case you or someone you know is looking for a professional to manage their money. So don’t come here looking for stock tips, and be very wary of any stock tip you come across in a public forum. The more people who see a tip, the less it is worth. That’s why you’ll probably lose money following Jim Cramer’s picks, despite the fact that he seems to be (in my opinion) highly intelligent, if highly annoying. There are just too many people following his advice. The only useful information in the stock market is private information: things that the market is not yet aware of, or is currently ignoring. Do your own research, pay someone who only sells his advice to a few people, or use passive index investing. I’ll be teaching a workshop on “Investing in Renewable Energy”on Tuesday, October 17, from 6 to 8 pm, at the National Renewable Energy Laboratory Visitor’s Center in Golden (pictured). This will be geared towards people who do not have a lot of experience in the financial markets, and I’ll cover several different approaches to take depending on your sophistication, risk tolerance, and investable assets. There should also be plenty of time for quesiton and answer. an excellent magazine which explains how your home uses and wastes energy, and gives you the tools to make educated choices. The workshop cost $10 at the door, or $5 for Smart Energy Living or Colorado Renewable Energy Society members. All revenues go to support CESC. Space is limited, so make sure to Register if you plan to attend. Directions to the NREL Visitor Center are here. Want to be Rich? Grow up First. What does this have to do with the readers of this blog, few of whom are ever going to make millions of dollars in their jobs? The same rules apply to the rest of us: if we don’t treat money with respect, if we approach the stock market, or life in general, like a gigantic virtual slot machine, we’ll lose everything we have. Money does not have the power to rescue us from ourselves. It is possible to make money in the stock market at random, by the luck of the draw. The problem with this is we’re not good at acknowledging that it was just dumb luck. When we think back on our luck, we’re much more likely to think that hunch we had was our brilliant intuition or a message from a higher power. If there is a higher power out there giving stock tips, She has a mean sense of humor, because I don’t know of any religous figures who are making out in the market. So we get lucky in the market, and it goes to our heads. We look at the $10,000 we managed to turn into $20,000 with a couple lucky picks, and we start thinking that if can just have a couple repeat performances, we’ll be able to pay off our mortgage. So we follow a few more hunches, and pretty soon we’ve got $5,000. Easy come, easier go. As the stories in the article suggest, it may be even easier to lose money by simply spending it than it is to lose it in the market… and at least you had some fun along the way. Either way, you end up broke, and, worse, you lose you confidence in yourself. What’s my point? If you have dreams of ever being rich, now is the best time to get ready, and learn self discipline. Michael Jackson is a prime example of the fact that there is no amount of money an overgrown child can’t spend his way through. Learn self-discipline and respect for your money now, before there are millions riding on the line, and you’ll be able to keep those millions when you get there. Self discipline is also a great help in getting there. Don’t know where to start? Try Suse Orman’s The Laws of Money. In my mind, each of her five laws boils down to acting like an adult around money; respecting it, but not letting the idea of money have power over who you really are. And she’s a lot better at persuading people than I am. Yes, I keep recommending the same books. If that bothers you, you can do one of three things: 1) Stop reading my blog, 2) Complain, or 3) Read them. They say the investment in Comanche 3 will save their customers money relative to gas generation. They attempt to brand members who oppose their actions as extreme environmentalists who want to ruin our economy and send us back to the Stone Age by imposing gigantic taxes on CO2 emissions.